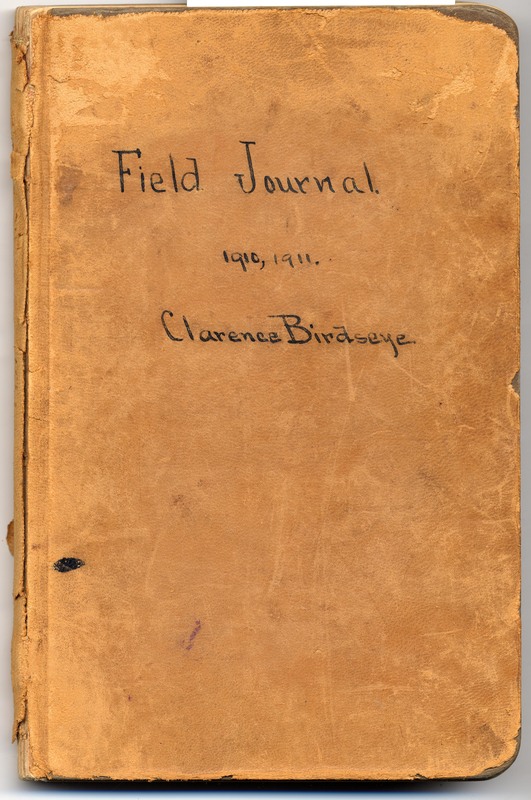 Fans of the series “Mysteries at the Museum” on the Travel Channel may already have seen this recent short piece about the Clarence Birdseye field journals held in the Archives & Special Collections at Amherst College. As you might suspect, there is more to the story than what is covered in this 2-minute clip. The quote that accompanies Birdseye’s picture — “I ain’t afeer’d o’bugs, or toads, or worms, or snakes, or mice, or anything” — is a fabrication of the Olio editors; the reference to Birdseye’s absence during junior year is the result of a reversal of the Birdseye family fortunes. Young Clarence could no longer afford the cost of college and did not return to Amherst after completing his Sophomore year in the spring of 1908. The thirteen manuscript volumes in the Clarence Birdseye Journals Collection cover the period from November 1910 through July 1916. For most of that time, Birdseye was in Labrador — a sparsely populated frozen land known for abundant fish and game, including animals valued for their furs. Furs, not frozen food, was where Birdseye imagined he could make his fortune. Although furs were his primary interest, Birdseye’s voracious curiosity about the natural world led him to record his observations on all sorts of flora and fauna. The entry pictured above covers both dried trout and a description of molasses pie. 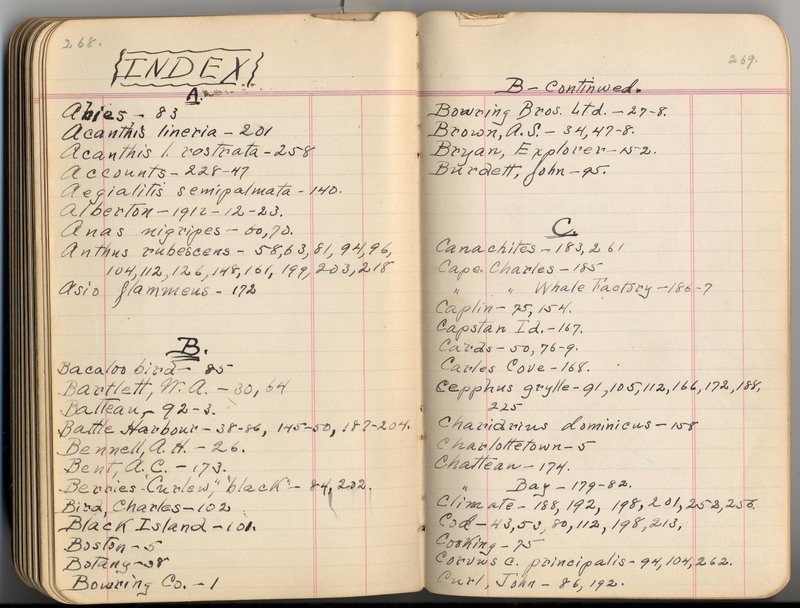 Birdseye was nothing if not methodical and he passed the long frozen evenings by preparing indexes to each of his field journals — a gift to researchers today. In September 1916, while living in Labrador, Clarence and his wife Eleanor had their first child — a boy they named Kellogg. 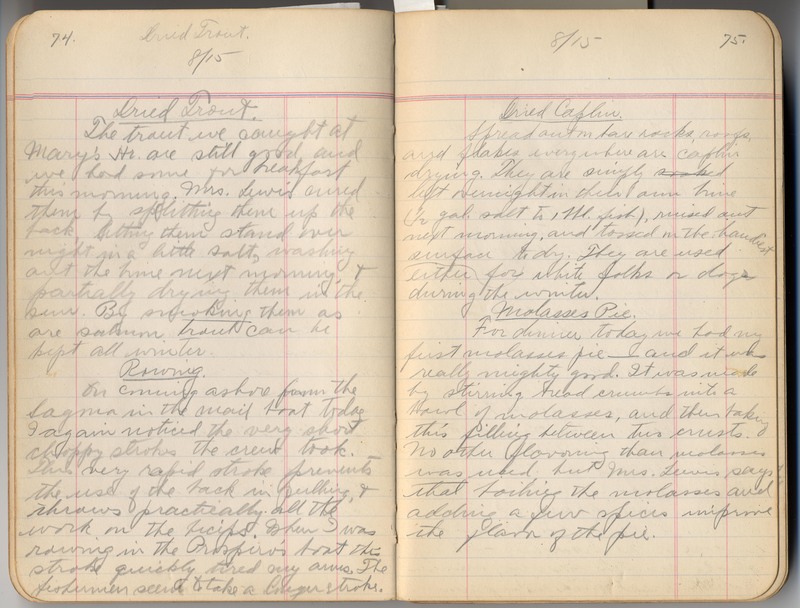 The demands of fatherhood may explain why Birdseye stopped keeping his field journals after July 1916. Birdseye’s observations in the frozen wastes of Labrador certainly influenced his thinking about food and freezing, but it would be nearly a decade before he turned those thoughts into a profitable technology. Birdseye spent most of the 1920s attempting to perfect a method of quick freezing foods, starting with fish and expanding into other areas. 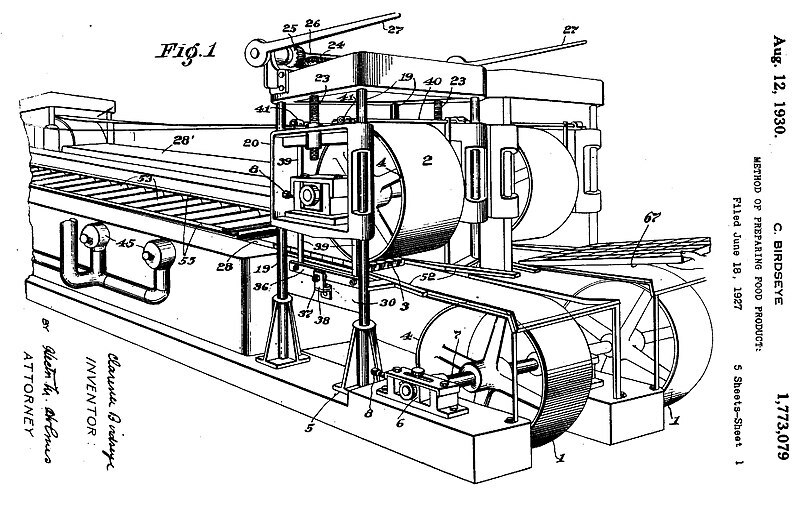 His patent for the machine shown here marks the beginnings of the modern frozen food industry.